NFL's Goodell Upholds Tom Brady's 4-Game Suspension : The Two-Way Until June, New England Patriots quarterback Tom Brady did not acknowledge to investigators that he had destroyed his cellphone, NFL Commissioner Roger Goodell says. New England Patriots quarterback Tom Brady, seen here arriving at NFL headquarters last month, sought to destroy evidence in the "deflategate" incident, says NFL Commissioner Roger Goodell. "The destruction of the cell phone was not disclosed until June 18, almost four months after the investigators had first sought electronic information from Brady," reads a statement on the matter published by NFL.com's Rand Getlin. Goodell concluded that Brady has "engaged in conduct detrimental to the integrity of, and public confidence in, the game of professional football." Brady was suspended in May over the scandal that has also cost the Patriots franchise $1 million and two draft picks. The quarterback then lodged an appeal through the NFL Players Association, which said it was acting "Given the NFL's history of inconsistency and arbitrary decisions in disciplinary matters." The players association and Brady had asked for an independent arbiter to hear the case — and for Goodell to recuse himself. But the commissioner has insisted he was able to approach the appeal with an open mind. 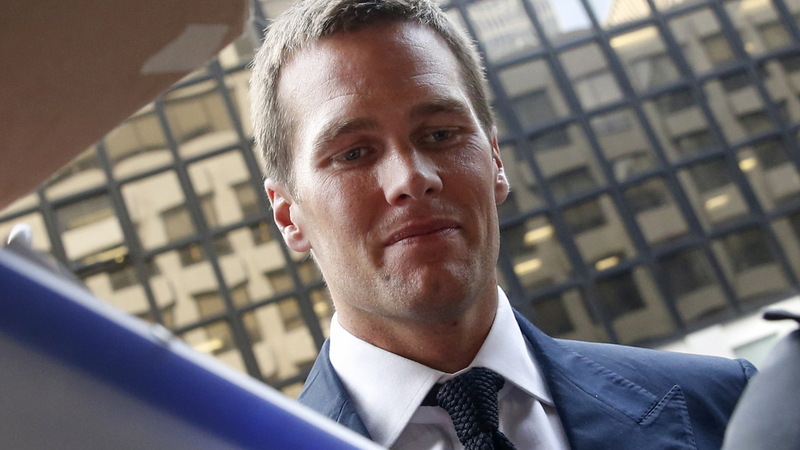 Brady's punishment was upheld after recent reports that he and the league were in settlement talks. But the two sides were seen as being far apart, with Brady reportedly refusing to consider sitting out games and the NFL insisting on a punishment that goes beyond a fine. Despite the uproar over "Deflategate" growing in the last two weeks of the NFL's postseason, Brady and the Patriots won the Super Bowl. They did so after dispatching the Indianapolis Colts in the AFC Championship Game — but officials determined that there wasn't enough air in some of the balls used in that game, played in the Patriots' home stadium. Brady's suspension followed the 243-page Wells Report, named after the attorney, Ted Wells, whom the NFL asked to look into the allegations. The Wells Report identified two Patriots employees — equipment assistant John Jastremski and officials locker room attendant Jim McNally — as playing pivotal roles in deflating footballs to make them easier to grip. Transcripts of messages between the two workers referred to Brady by name, and spoke of both meeting with and receiving gifts from him. The NFL.com's Getlin says Goodell found that after having little contact with Jastremski, Brady spoke to him four times for 25 minutes and exchanged numerous texts on the day after the AFC title game.